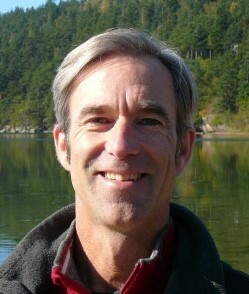 Jim Johannessen – Experts in Puget Sound coastal processes, management, and cost-effective design since 1993. Jim specializes in beach and estuarine assessment, mapping, and restoration design. He started CGS in 1993 and has performed coastal assessments and developed beach nourishment, soft shore protection, integrated site management approaches, restoration, and other designs from initial concept through to final construction drawings in all Salish Sea counties. Jim also monitors beach projects, serves as a regional expert for Sound-wide studies and efforts and also as an expert witness, and runs educational programs throughout the region to facilitate community understanding of coastal processes and interactions of coastal modifications and nearshore habitats. Jim was the lead author for the 2014 Marine Shoreline Design Guidelines for WDFW and Beaches and Bluffs of Puget Sound white paper for the Puget Sound Nearshore Partnership and the Corps of Engineers. Jim has a BS in geology and oceanography from Univ. Rhode Island, and a MS in coastal geology from Western Washington University, and is a Licensed Engineering Geologist and Geologist in Washington. CGS was started in Bellingham in 1993 by owner Jim Johannessen after working for several other consulting firms in Puget Sound, Bellingham, and northern Alaska starting in 1985.